Myanmar has bulldozed entire Rohingya villages to make way for a massive camp at the centre of a stalled plan to house returning refugees, an analysis of new satellite imagery shows. 12 Mar 2018 – One rights group describes the imagery as evidence of an escalating push to demolish former Rohingya land and militarise vast swathes of northern Rakhine State – the flashpoint for violence that last year drove out more than 671,000 Rohingya refugees to Bangladesh. 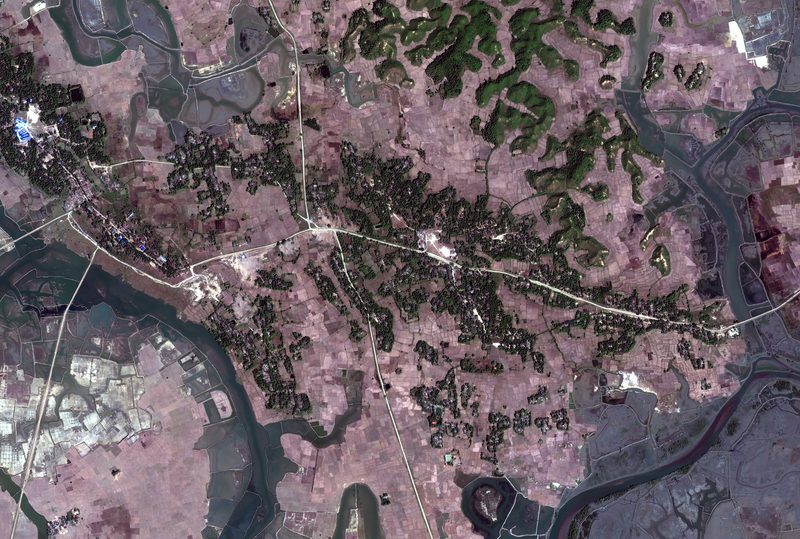 An analysis of satellite images done for IRIN by UNOSAT, a United Nations programme that produces humanitarian mapping, shows extensive land clearance and new construction near Hla Poe Kaung village in Rakhine’s Maungdaw Township. Myanmar authorities have identified the area as the site of a planned camp that would house returning Rohingya refugees. The imagery shows that over seven weeks, from early January to late February, at least four villages in the area were almost completely levelled, leaving little trace of the Rohingya homes that once stood there. At least 110 new buildings and what appear to be two helicopter landing pads were constructed in that time, according to the analysis, which estimated that at least 240 hectares of land had been cleared. Swipe the images to compare: The image on top shows a view of the repatriation camp near Hla Poe Kaung village on 9 January. The image below shows construction at the same site on 27 February. 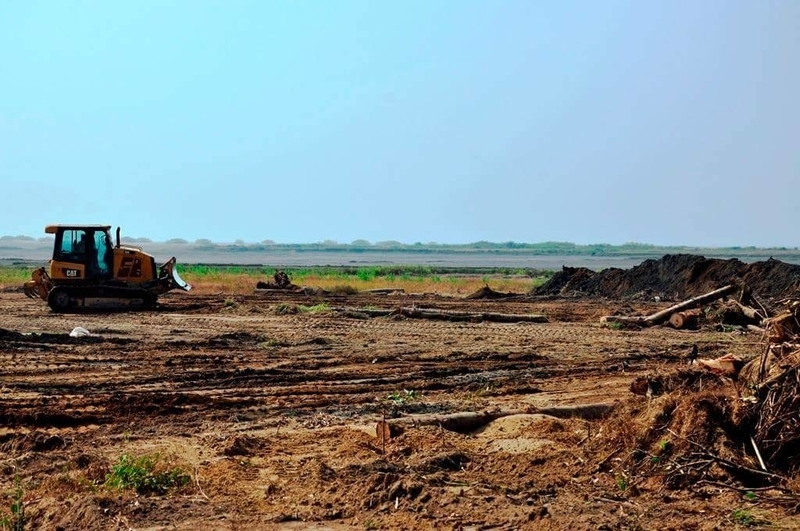 The activity near Hla Poe Kaung mirrors extensive clearance and reconstruction across northern Rakhine – part of what rights groups say is an attempt to dramatically reshape the landscape in the aftermath of last year’s Rohingya exodus. Amnesty International on Monday released satellite images it said showed large-scale bulldozing and new infrastructure – including at least three new military bases – being built around the northern townships. 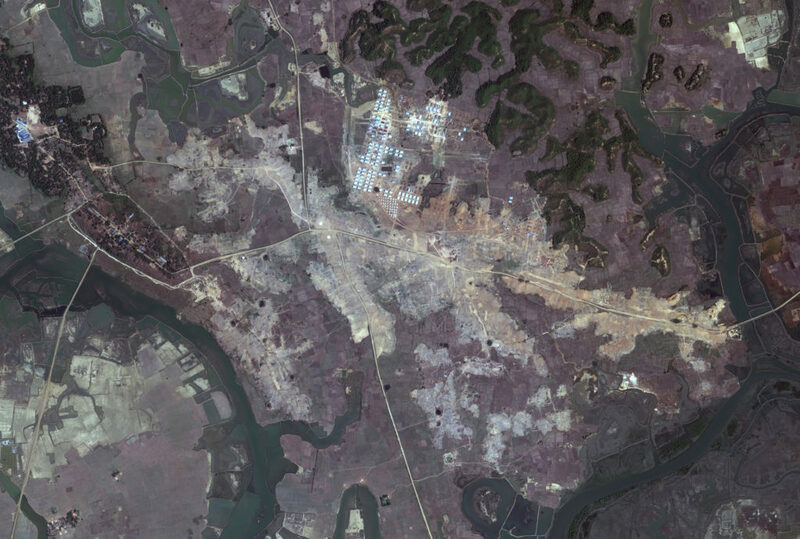 It also showed roads and buildings emerging over Rohingya land and villages that were torched and emptied last year. Human Rights Watch says that Myanmar authorities have cleared more than 55 former Rohingya villages across the state in recent weeks. Authorities in Myanmar have framed reconstruction as part of a broader scheme to develop the impoverished northern Rakhine region. 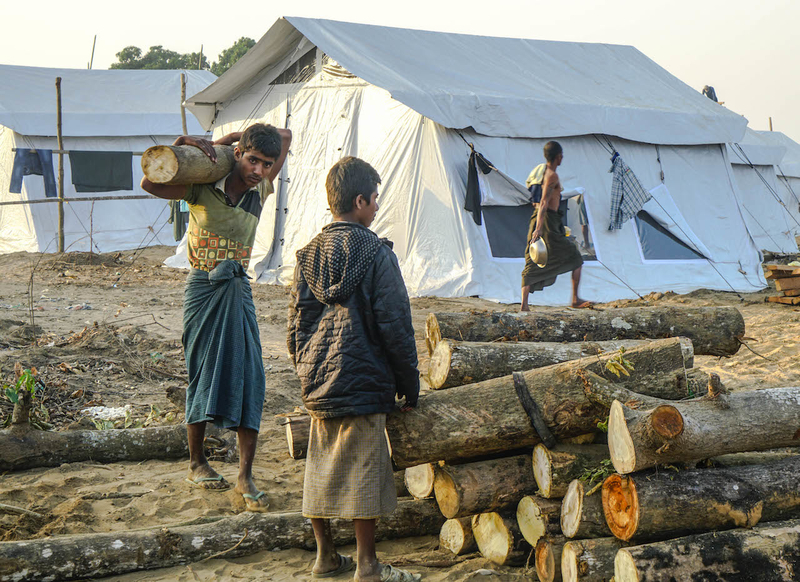 The new camp emerging at Hla Poe Kaung is a central part of a controversial repatriation plan for Rohingya refugees, which has languished for weeks after a late January start date fizzled. Myanmar authorities have said returnees will be housed temporarily in Hla Poe Kaung. 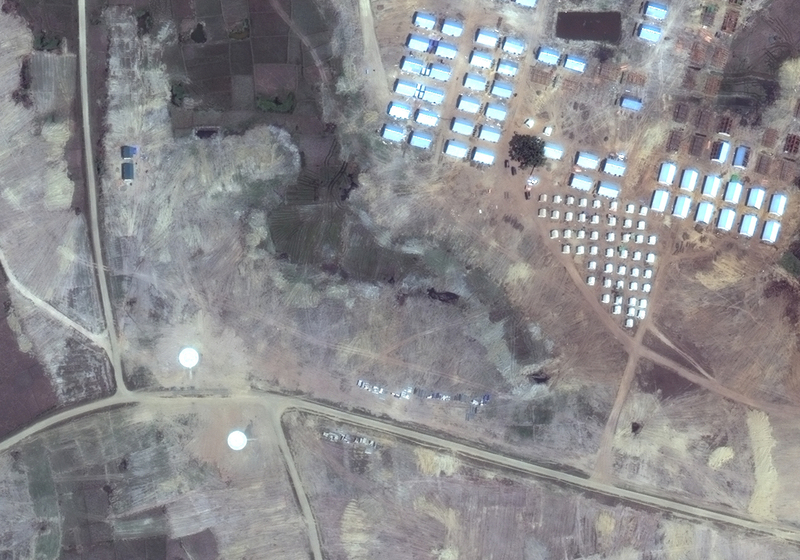 But the satellite images show parts of the Hla Poe Kaung camp are built directly over the remnants of Rohingya villages that were damaged or destroyed during last year’s violence. Rights groups and Rohingya refugees in Bangladesh say Myanmar’s military and neighbouring ethnic Rakhine villagers torched homes and killed civilians, emptying the state’s northern townships of most of its former Rohingya inhabitants. Myanmar authorities say the military was responding to attacks on border outposts by a group of Rohingya fighters. 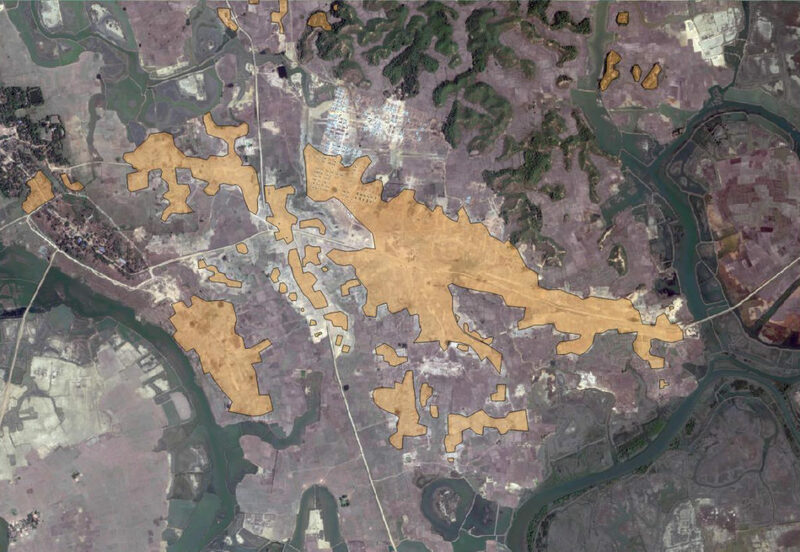 Swipe the slider to compare: Much of the latest clearance and construction in the Hla Poe Kaung area overlaps with damage identified in a previous analysis of satellite images taken between 31 August and 11 October 2017. 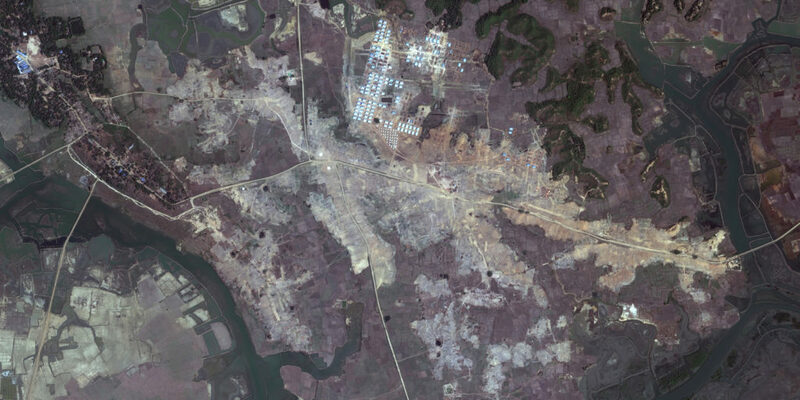 The widening footprint of the Hla Poe Kaung repatriation camp shown in satellite images aligns with on-the-ground reports from Rohingya who had been living in the area until mid-January, according to the Arakan Project, a rights monitoring group. Sources told the group that 12 families were living under plastic tents on the site of their former homes, which had been razed in last year’s violence. Later in January, however, authorities pushed the remaining families out by force, according to Chris Lewa, the group’s director. Labourers work at a new construction site near Hla Poe Kaung village in Myanmar’s northern Rakhine State in late January 2018. Myanmar authorities have refused to allow independent investigations into last year’s violence and continue to place heavy restrictions on aid groups operating throughout Rakhine. The UN’s refugee agency, UNHCR, says it has been barred from accessing the worst-hit parts of northern Rakhine since last August, when Myanmar’s military crackdown began. Across the border in Bangladesh, hundreds of thousands of refugees remain thronged in cramped settlements. Aid groups say the looming cyclone and monsoon seasons pose a grave risk to people in those sprawling camps. IRIN delivers unique, authoritative and independent reporting from the frontlines of crises to inspire and produce a more effective humanitarian response. After 19 years of award-winning humanitarian news and analysis, IRIN, originally the “Integrated Regional Information Networks“, left the United Nations in January 2015 to relaunch as an independent, non-profit media venture. We have been providing ground reporting on humanitarian crises in a way nearly no other institution does. Outside the UN, we are even better positioned to play this critical role, drawing on the expertise, networks and credibility we have developed, and combining them with increased reach, a more innovative approach and a sharper voice.